The resume has been around in one form or another for over 500 years. Ever since Leonardo da Vinci first wrote down his skills and qualifications in order to gain employment in 1482, the standard structure and purpose of this age-old document has remained virtually unchanged. State your studies, give detail about your past working experiences, mention something about yourself and your interests, and you’ll have yourself a standard professional resume to show prospective employers. As you can probably guess, though, any type of document that relies solely on the honesty and integrity of the person who’s writing it can easily be manipulated and distorted in order to present its author in a better light. Which explains why, in our increasingly competitive times, resume cheating has become a widespread phenomenon across the globe. In Australia, for instance, a recent study shows that around 13% of all respondents readily admit to lying on their resume, with the percentage spiking considerably among younger people. But this data only tells part of the story, as a much larger percentage of people are guilty of resume cheating if you count embellishing and lying by omission as well. 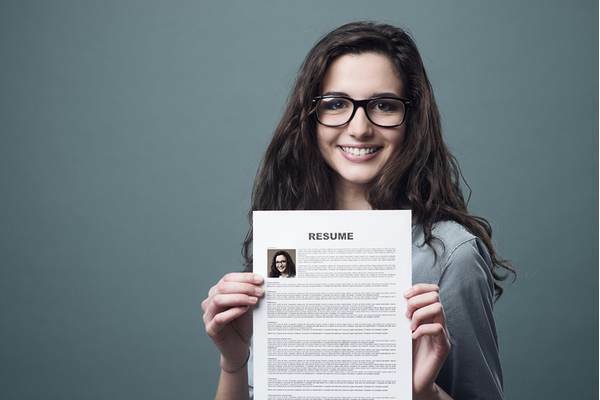 There’s no denying that resume cheating can increase your chances of getting called up for an interview, particularly if you specifically tailor your resume to meet the requirements of each and every job you apply for. But such requirements are often there for a reason, which means that resume cheaters may very well find themselves employed in positions they aren’t ready to handle. For instance, someone who lies about having cooking experience may actually be granted a kitchen position, but will then have to face the fact that they simply cannot perform adequately in a busy restaurant setting. The old adage about being careful what you wish for is definitely something to keep in mind here. Even if someone who’s gained employment through resume lying does manage to handle themselves well at their new job, there is always the possibility that the truth might come out sooner or later. Famous cases of resume fraud have gotten plenty of attention from the press in the past, and for good reason. People hate cheaters and want to expose them whenever they get the chance. Just the thought of having to face something like that sooner or later makes living with such a lie a difficult proposition for the vast majority of people, even if they manage to get away with it at first. As for the people who do get caught, the consequences of resume cheating can be quite severe and far-reaching as well. Especially in today’s social media-dominated landscape, engaging in this kind of deceit doesn’t bode well for your future career prospects. People that have had their reputations tainted by resume lying often have a hard time of finding further employment in their respective industries, with many having to switch careers or move to a different place in order to escape their past. What’s more, in some cases you can even face criminal charges, especially when it comes to falsifying your educational records. A company depends on its employees in order to survive and thrive in the marketplace. This means that hiring top-notch people should be a top priority for any burgeoning business. By allowing unqualified people to seep into the system through lies and deceit, companies expose themselves to various risks including incompetence and negligence. Especially at a higher level, such issues can easily derail a once promising company, as unqualified people will generally tend to commit graver and more frequent mistakes. While there is no guarantee that such a thing will occur, it’s not a stretch to suggest that people who have lied their way into a professional position are particularly prone to bending the rules in order to get what they want. Once inside a company, resume cheaters can continue down the path of deception by engaging in further fraudulent acts that can range from minor theft to full-out embezzlement. History is littered with people who have abused their positions in order to gain personal advantages, and those who have already beaten the odds once will likely grow even bolder next time. Probably the most damning issue of them all, as the consequences of hiring a resume cheater aren’t just limited to the damage they can inflict during their tenure. Instead, most companies also have to deal with a significant public relations nightmare, as some of their customers can lose faith in the company as a whole. Charges of incompetence will most likely be levied at all companies that have been tricked into hiring resume cheaters, which can easily damage their long-term reputation. Furthermore, in order to avoid such unfortunate events from occurring again, a company will often need to implement costly measures and enforce stricter rules of conduct in the workplace. As you can see, the costs of resume cheating far outweigh any potential benefits associated with this practice for both individuals and companies. In any case, if looking for a job seems too stressful to you, and you think of a lie as an escape, it might not be a bad idea to think about a career change in the first place. Creativity in resume writing, if discovered, can have consequences on future career development of an individual. That’s why you’re definitely better off simply telling the truth and avoiding lies altogether. Instead, try to direct your attention towards crafting a unique and convincing resume, one that can lead to you getting your foot in the door and potentially landing the job of your dreams. « Super Creative Ways to Landing Interviews	» How to make 2017 your best year ever!